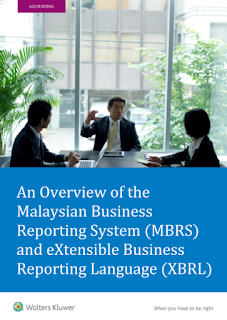 The MBRS is a digital submission platform based on the eXtensible Business Reporting Language (XBRL) format. XBRL is by definition, an open international standard for digital business reporting. Foreign regulators, SEC (in USA), HMRC (in UK), ACRA (in Singapore) and CIPC (in South Africa), have mandated registered or publicly listed companies to report their financial information in XBRL. SSM is one of the latest adopters. Its primary aim is to improve financial and business reporting and simplify ways for stakeholders to use, share, analyse and add value to data. SSM, in its FAQs, states that its reasons for XBRL adoption includes making the collection of financial and non-financial information more efficient, facilitating the analysis of financial reports for decision making and providing SSM and other regulators with detailed data which can be aggregated, as well as aiding investigative efforts and other compliance. SSM Taxonomy - dictionary of financial and non-financial reporting element of AR, FS and EA embedded in the MBRS Preparation Tool. The taxonomy for FS and AR has been established based on the disclosure requirements for MFRS, MPERS and Companies Act 2016. MBRS Preparation Tool - preparation tools based on Microsoft Excel that allow companies to prepare documents online and offline and generated AR, FS and EA in XBRL. MBRS Portal - submission platform to lodge FS, AR and EA to SSM. All companies which follow MFRS and MPERS, except for companies that are regulated by the Bank Negara Malaysia, can file their financial statements via MBRS. The key measures include ensuring that the XBRL tagging is done correctly during the implementation stage and ironing out any compatibility issues as early as possible. How to effectively use XBRL.